Featuring a lot of history and a little spice, Jay and Alex Grant’s life story is one we love to hear about here at Waltonwood. During her childhood in Newark, N.J., Jay Grant spent her days with her neighbors and many siblings. Playing jacks, jumproping, and going to the store were among their favorite pastimes. Her father was a dedicated plant worker who even walked from Virginia to New Jersey in order to get the job! Her mother was a loving homemaker, and Jay has fond memories of big family dinners every Sunday after church and Sunday School. She worked at Woolworth as a teenager, and later was employed with an insurance company before staying home to raise her children. Jay recalls many significant events that took place in her lifetime. 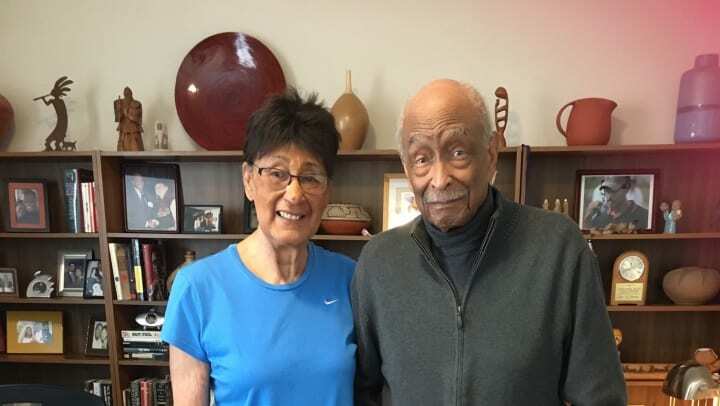 She watched the Civil Rights Movement unfold with Dr. Martin Luther King Jr. at the helm, heard about the death of Franklin D. Roosevelt, and saw Barack Obama become president. She met the love of her life, Alex, when he was to go on a double date with his friend and Jay’s cousin. When Alex went to the house to pick up the cousin for the date, Jay was there, and the rest is history. “The first time I looked at her, I knew that was it,” Alex recalls. It’s no wonder they got along so well, as they have much in common and he has similar memories of his childhood and adulthood. 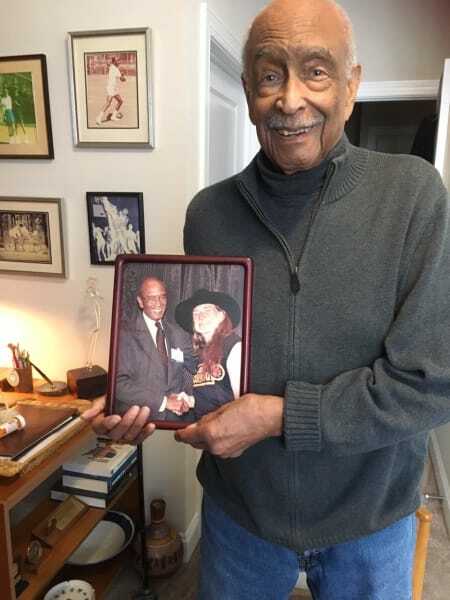 He remembers playing stickball in the street and Kick the Can in his neighborhood in the Bronx. He was raised by a single mother who worked two jobs to support them, including as a night shift nurse practitioner. Alex attained an undergraduate degree in English from Bloomfield College in New Jersey, and later attended the University of California, Berkeley and Harvard University for his graduate degree in English. During the 1960s, Alex worked for the Legal Defense Fund for the NAACP. 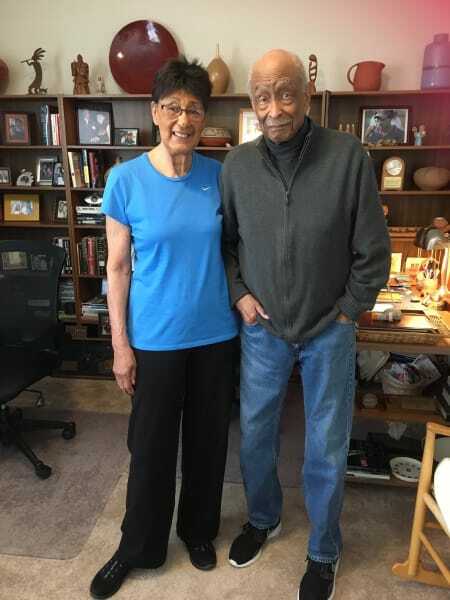 Alex and Jay hosted Amelia Boynton – an American activist who was a leader of the American Civil Rights Movement and a key figure in the 1965 Selma to Montgomery marches – for a dinner in their home. In addition to being an NAACP advocate, Alex also was a schoolteacher, publisher, and associate commissioner for the Food and Drug Administration.